Is Same-Day Wellness Testing Available? Which types of Wellness Testing do you offer? We specialize in offering professional medical testing used to determine the general health and wellness for both Men and Women. Our most common testing panels - or grouping of medical tests - include the following: Men's Wellness Panel, Women's Wellness Panel, Nutrition Panel, Fatigue Panel and an Arthritis Panel. Do I need to fast or make special preparations prior to visiting the local patient center? Many medical tests require that you fast (abstain from eating food) for a period of time prior to testing. 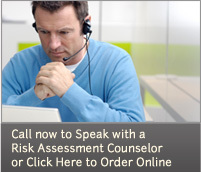 When you call and speak with your counselor, they will advise you of any special requirements. When will my Wellness Test results be available? Depending on the types of Wellness Tests selected, it usually takes between 2-4 business days to receive your results. Please wait a minimum of 24 hours before calling to request your results. How do I receive my Wellness Test results? Getting your results is simple and easy - after waiting a minimum of 24 hours after testing, please call (800) 205-7386 and select the "results" phone prompt option. You will speak with one of our results counselors who will first verify if your test results are available - if yes, they will then explain your results to you. If your results are not yet available, your counselor will recommend an appropriate time for you to call back. Can I receive a copy of my Wellness Test results? Yes. We can email, fax or mail your test results to you. In addition, we can send your results directly to your personal doctor. Can you help me interpret my Wellness Test results? No. This is best done by visiting your doctor. We can help you "read" your results, but only a licensed medical professional should help you "interpret" your results and create a comprehensive wellness plan. How do most people use their Wellness Test results? MedPro's Wellness Testing Services can help you gain greater control of your personal health by providing access to your "baseline" health levels. It is important to know and establish this baseline - and then monitor progress towards achieving your long-term wellness goals. Should I consult my doctor? Yes. Wellness Testing should never take the place of the important relationship that exists between the patient and the doctor. If you have a specific health concern, please visit your doctor immediately. We also recommend that you meet with your doctor to interpret your wellness test results - and together - crate a long-term wellness plan.